According to a new study from InsuranceQuotes.com, the average premium increase is 9 percent for the first claim. Even a denied claim can cause your premium to go up. Make sure to know your policy's specific guidelines and only file a claim when absolutely necessary. Winning a small claim could actually cost you money in the long run. The type of Long Island NY homeowners insurance claim also matters. Liability claims, such as from personal injuries, are the most expensive type of claim, with insurers raising premiums by an average of 14%. Other claims that lead to big premium increases are theft and vandalism, which often indicate that the home is in a neighborhood that is unstable or possibly falling prey to various forms of contamination or corruption. In bad neighborhoods, these crimes can recur, and the high premiums reflect that. Once your Long Island NY homeowners insurance premiums are raised, it can be difficult to get them reduced. Don't make small claims. Getting a few hundred dollars back if a tree limb falls on your shed may feel good but you could be paying that back to your insurer over the next few years — and then some. Don't use Long Island NY homeowners insurance as a maintenance tool. Don't file a claim to pay for small repairs, such as when wind blows some old shingles off your roof. Use it for catastrophic repairs only. Get more Long Island NY homeowners insurance information in our section on Long Island NY Insurance to the right under Long Island NY Real Estate Categories. We post daily to Twitter, and also on our Facebook Page. We'd love you to check us out on both sites. Some insurers offer discounts on Long Island NY homeowners insurance if you cover both your home and your automobiles with the same company. Ask your insurance agent if such discounts are offered for your Long Island NY homeowners insurance coverage. Get more insurance information by clicking the Long Island NY Insurance link to your right under Long Island NY Real Estate Categories. When it comes to real estate, just about everything is negotiable, so don't ever let anyone tell you that services like Long Island NY title insurance and closing costs (escrow services) aren't. Long Island NY title insurance companies are hired, in part, to issue title insurance protection for Long Island NY home buyers and lenders. Lenders require the service to protect them against loss resulting from claims by others against the Long Island NY home you are buying. 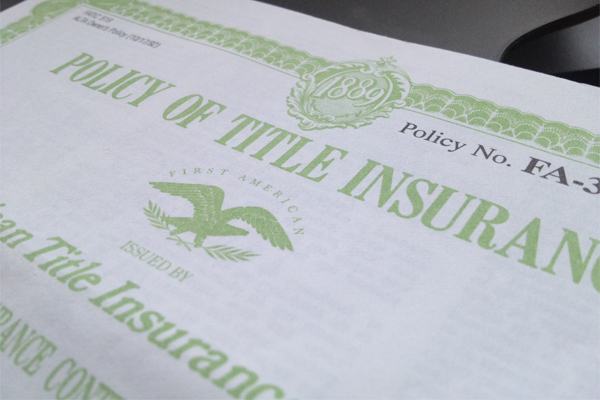 Title insurance comes into play during the "closing" period of the real estate transaction and is usually packed with escrow services. 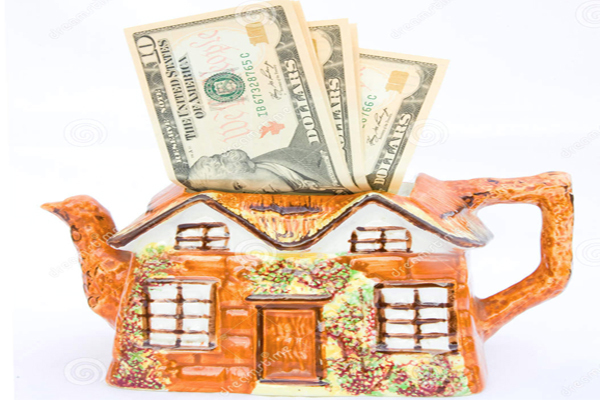 Escrow services (sometimes attorneys, sometimes just a neutral third party) handle all the paperwork, transaction, deposits, mortgage signing, and various other "closing related" issues. Before hiring title or escrow services, obtain several referrals from those you trust, family, friends, co-workers, real estate agents and others who've recently had a satisfactory closing of escrow. Compare the costs of different escrow and Long Island NY title insurance companies before agreeing to use one. Fees can and do vary widely. Ask for EACH AND EVERY escrow cost from title insurance and search and escrow service fees, to all the little so-called "garbage fees" that crop up during a closing. Make sure you get a good faith estimate from your lender, and double check the lines that cover these title and escrow services. Remember, an estimate is only that.. an estimate, so do your homework, and make sure you know the EXACT figures, and what you're getting for your money, before you go to the closing. On closing day, be prepared with plenty of time, pencils, paper, a calculator, and an inquisitive, demanding mind. You are allowed to have your representative — a real estate agent, mortgage counselor or other professional — attend closing with you. If we are involved in your real estate purchase, we will accompany you to your closing. If you have questions or comments about this article on Long Island NY title insurance and escrow services, please don't hesitate to contact us. We'll get back to you with any answers you need. Get all the facts that affect buying a Long Island NY home, including Long Island NY title insurance, as well as other insurance, like homeowners insurance, right here at our website. For more articles and tips on Long Island NY title insurance, as well as homeowners insurance, check out our Long Island NY Insurance section under Long Island NY Real Estate Categories to your right. Many prospective homebuyers in the Long Island NY real estate market don't consider the risk of natural disasters like hurricanes, earthquakes, tornadoes, and flooding when buying a home. But like many markets throughout the U.S., the Long Island NY real estate market is at some risk of a natural disaster. It pays to be informed, and that also applies when buying a home in an area that may be at risk for some sort of natural disaster like the Long Island NY real estate market. It's very hard to find any place that is totally immune from some sort of natural disaster. So make sure when you buy a home anywhere that you are adequately covered for things that could strike which you have no control over, like storms and earthquakes. Get more insurance information as it pertains to the Long Island NY real estate market at the Long Island NY Insurance link to your right under Long Island NY Real Estate Categories. Every year the same question about insurance rolls around about this time. "Do people really need flood insurance for Long Island NY homes?" Consider this: Hurricane season in the Atlantic began June 1st and ends November 30th. The Eastern Pacific hurricane season began May 15th and also ends November 30th. Hurricanes don't just affect coastal homes, but flooding well inland often occurs with land falling tropical systems. Hurricanes are strong storms that can be life-threatening as well as cause serious property-threatening hazards such as flooding, storm surge, high winds and tornadoes. Preparation is the best protection against the dangers of a hurricane. And that includes deciding whether flood insurance for Long Island NY homes is a smart investment. Hurricanes cause heavy rains that can cause extensive flood damage in coastal as well as inland areas. Everyone is at risk and should consider flood insurance protection. Flood insurance is the only way to financially protect your property or business from flood damage. Predictions are pointing to the 2014 hurricane season being a mild season with a below average number of named storms predicted. But it only takes one storm hitting our area to make it a tragic season. In 1992, Hurricane Andrew was one of only four hurricanes that season. Still, it created widespread destruction. Regardless of whether 2014 is active, or inactive, don't be caught off-guard. 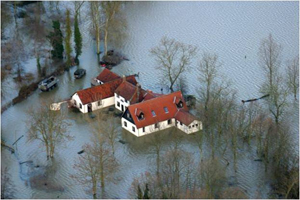 A regular homeowner's insurance policy does not cover Long Island NY homes for rising water. You need flood insurance to cover this, and in order to get flood insurance, you must have your flood insurance policy in force for a full 30 days before it will cover your property. And once there is a named storm anywhere in the Atlantic, no new policies can be written to cover that storm. Flood insurance for Long Island NY homes is the only way to make sure your assets are covered in the event the Long Island NY area experiences any sort of flooding from rising water, not just from tropical storms. Consider yourself warned. Find more tips under Long Island NY Insurance below Long Island NY Real Estate Categories to your right to help you decide if flood insurance is right for you.